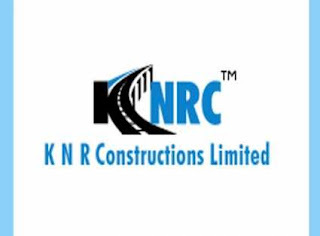 » Trading Ideas » Trading Ideas : KNR Constructions Ltd.
Trading Ideas : KNR Constructions Ltd.
Markets have now started stabilizing as expected and mentioned in our last article. After a long break here comes the next trading idea, which was also recommended for investment at Rs.257, 4-5 months back. Those who have invested have already saw peak returns of around 35%. If you have missed the ride here is the another opportunity to make some quick returns. 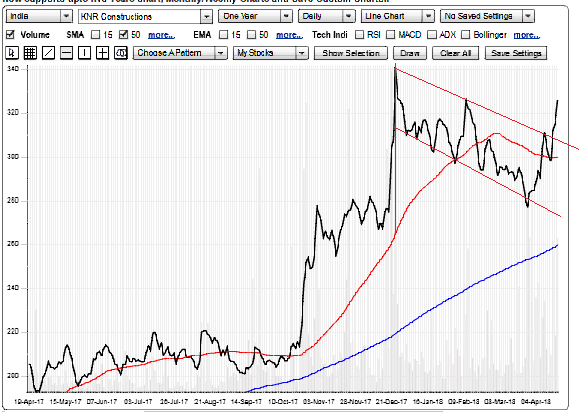 Traders can look forward to buy it around CMP of Rs 325, keeping 305 as stop loss for an upside potential of around 15%. Disclosure : I do not hold this stock in my Portfolio.